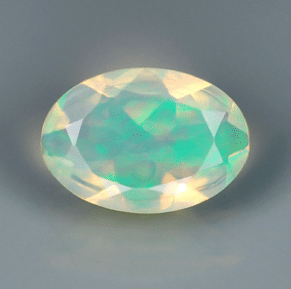 This is a natural precious Opal from Ethiopia, with a nice oval faceted cut and an incredible multicolor opalescence. This Opal is natural and not treated, has a transparent white base and a very attractive multicolor effect, perfect to be set in a jewel or for your gemstone collection. Dimensions: 5.9 x 4.1 x 2.3 mm.